We are all made of light, What´s your color? Experience New Year like never before, Colors Of light comes back to leave all darkness behind and receive 2019 with the best energy. Join us on a journey full of art, wellness and a line up to die for!. Followed by a long list of activities focused in uplifting our spirit for receiving 2019. Body and mind connected in order to tone ourselves with the universe. Yoga, meditation, mandala design, dream catcher meditation, acroyoga, the psicology of color in art, and more. 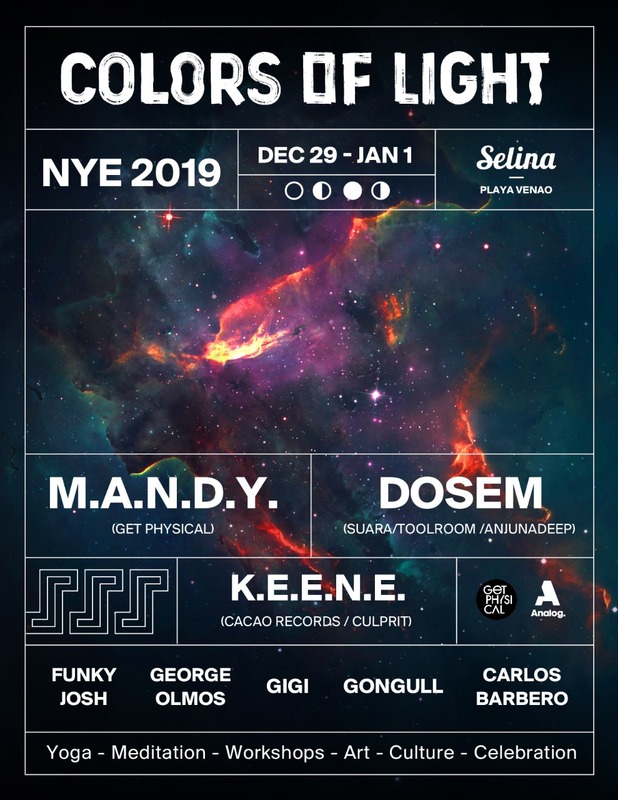 Get ready to explore yourself thru colors and light, destroy the dancefloor with our insane line up and connect with us in the best celebration of New Year of Panamá.